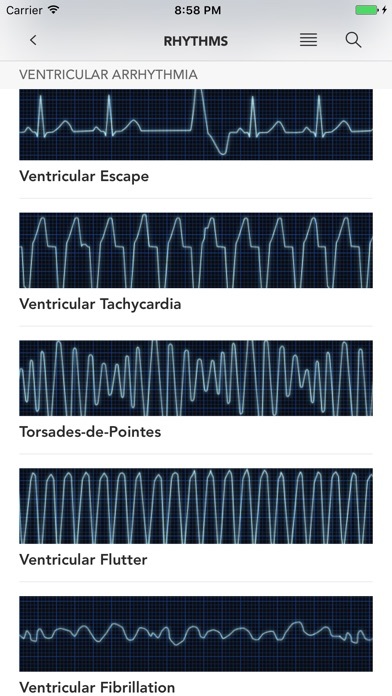 Instant ECG was designed as an ECG / EKG / Electrocardiogram guide for physicians, nurses, paramedics and other health care professionals. It is an excellent learning tool as well as a quick reference. ECGs: - Normal Sinus Rhythm (NSR) - Sinus Tachycardia - Sinus Bradycardia - Sinus Pause - Atrial Flutter - Atrial Fibrillation - Wandering Atrial Pacemaker - Premature Atrial Contraction - Supraventricular Tachycardia (SVT) - 1st Degree AV Block - 2nd Degree Wenckebach - 2nd Degree Mobitz II - 3rd Degree AV Block - Wolff-Parkinson White (WPW) - Junction Rhythm - Right Bundle Branch Block - Left Bundle Branch Block - Premature Ventricular Contraction (PVC) - Ventricular Escape - Ventricular Tachycardia - Torsades-de-Pointes - Ventricular Flutter - Ventricular Fibrillation - Idioventricular - Asystole - SVT Cardioversion to NSR - Torsades Cardioversion to A. Fib - V. Tach Cardioversion to ST Elevation - V. Fib Cardioversion to Asystole - V. Tach Cardioversion to Junctional - Right Ventricular Strain - Left Ventricular Strain - ST Depression Sinus Rhythm - ST Elevation Sinus Rhythm - Anteroseptal Wall MI - Anterolateral Wall MI - Lateral Wall MI - Inferior Wall MI - Apical Wall MI - Posterior Wall MI Exams: - ECG Basics - True or False - Multiple Choice - Identify the Rhythm Strip - Identify the 12-Lead Basic - Clinical Aspects of AV Blocks - Clinical Aspects of Bundle Branch Blocks - Clinical Aspects of MI - ACLS Bundle Exam Instant ECG was developed by iAnesthesia LLC and authored by T. Michael Truxillo M.D. CPPS and William S. Trask IV D.O. 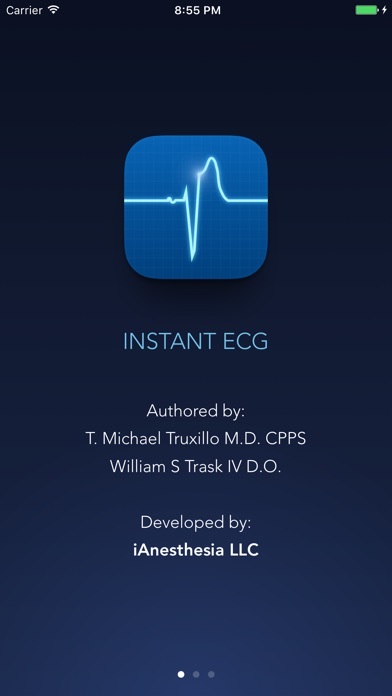 Instant ECG - REVIEWS - "Instant ECG is the best ECG guide available for the iPhone" - "The definitive FIVE STAR EKG App." - "Excellent App for student, resident or attending. I highly recommend it." - "Helps to keep the rhythms fresh in my mind. Good for a 5-min review. Great quiz functionality." 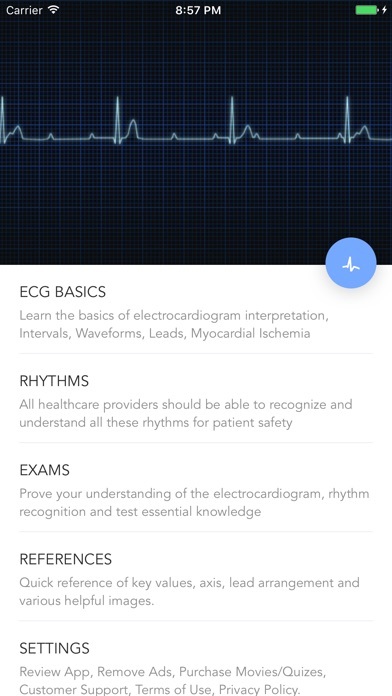 This app does not track your ECG. It’s a training tool. I attempted to contact someone via their web page however, there is no contact information. I would like a refund as this is not the app that I was looking for. 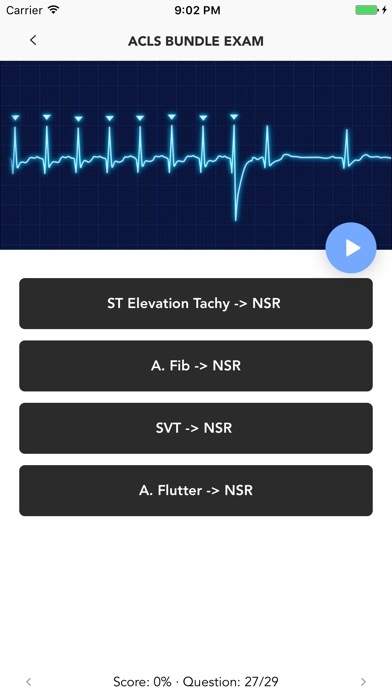 Despite the high price this app does NOT allow to take a ECG. It’s only a collection of heart beat videos to study. Wish the app description would’ve been more clear. Very basic and I hope not stupid question. I can’t get the app on my Iwatch4 to take a reading. I put my finger on the Digital Crown, without pushing down, nothing happens. When I open the app on my phone, all I see are the various rhythms. I just want the app to work and don’t know what I’m doing wrong? I’ve purchased this app but it’s never downloaded even with WiFi. 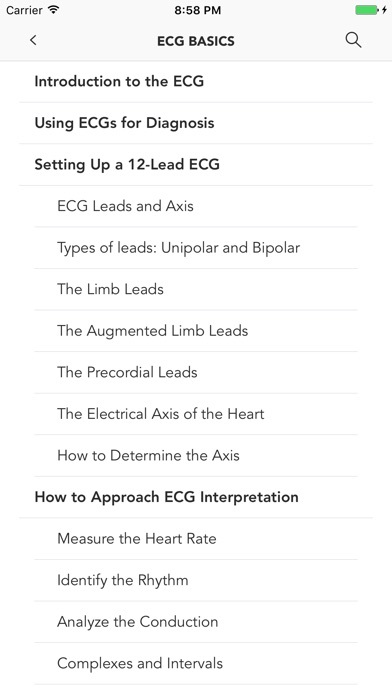 So far, it’s the best ECG app that I’ve found. I work at a very busy cardiac hospital and precept new nurses and nurses new to cardiac. This app helps me show and explain different rhythms to them. A picture is always worth a thousand words. This app is not what I thought it was. Do you do refunds for the app? I thought this was the app for checking my own ECG with my new Apple Watch. Not the case and no refund offered by the Apple Store. For 5 dollars it’s very basic. You are only remembering how the EGK looks. A nice review for people who already know the rhythms. But if you want to practice interpreting don’t buy this instead go to a website called skillstat.com its for free ( for now I believe 1/20/19) and it’s almost the same thing of this app. Also for SVT you would have to pay an extra 4.99 so 10 bucks for the whole actual app.